Chrissy Murderbot: My Night Of Mixtapes – The global community for audio culture. 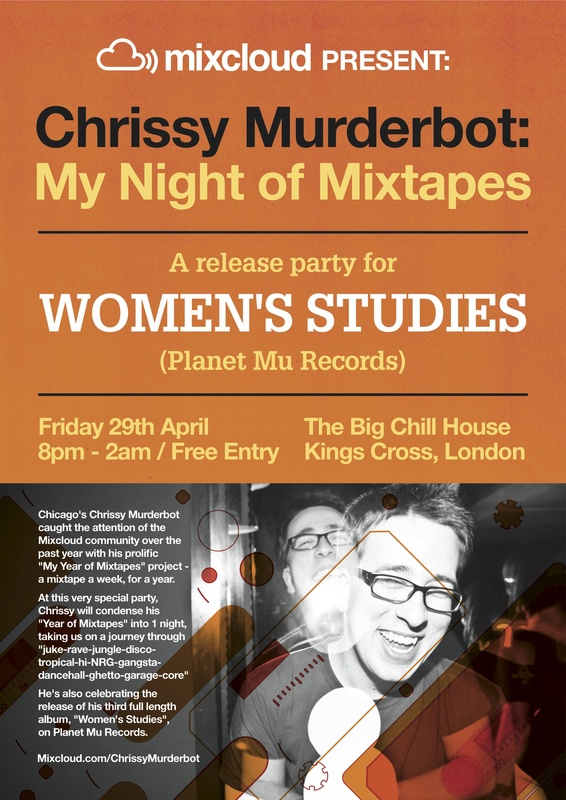 For our next party, over at the Big Chill House (London), we’ve invited Chicago’s very own Chrissy Murderbot down to play. After the epic mix series ‘My Year In Mixtapes‘ – a mixtape a week for a whole year, with each mix representing a specific genre, sound, era or scene – Chrissy will be coming over to celebrate his new release, Women’s Studies (on Planet Mu), and take us all on a journey through a ‘My Night of Mixtapes’ session. And, of course, you can follow Chrissy on Mixcloud here for more like this.